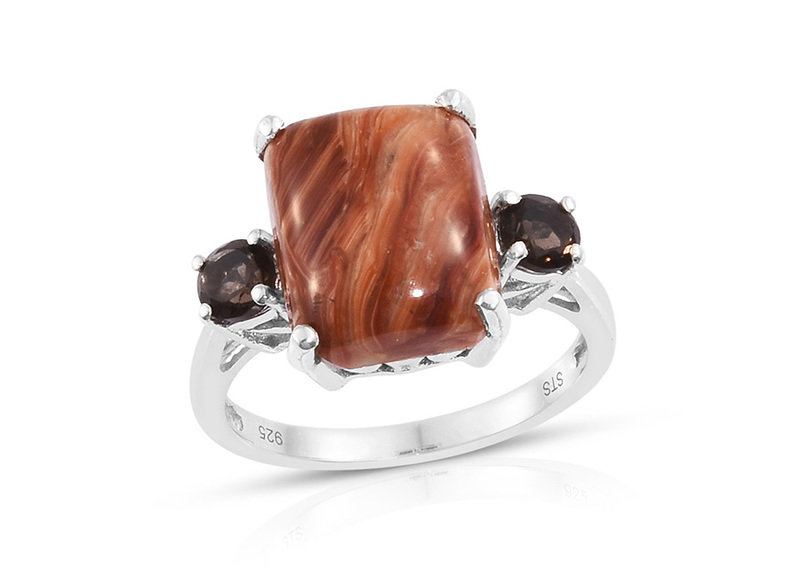 Chew on the tawny hues of caramel opal and its pleasing swirl of autumn colors. Caramel opal is an exciting addition to the growing selection of exotic opals offered by Shop LC. By combining a delicious swirl of yummy colors, caramel opal offers collectors a unique gemstone rarely seen anywhere else. What Color is Caramel Opal? Like a steaming hot latte, caramel opal offers a unique coiling pattern of flush colors. Dominated by the tawny caramel hues of its namesake, the color of caramel opal is further enhanced by buttery creams of and deep rusty reds. The warmth of these shades combines in a vortex of color that offers an unusual blend not readily available in today’s gemstone market. Caramel opal is an opaque gemstone. 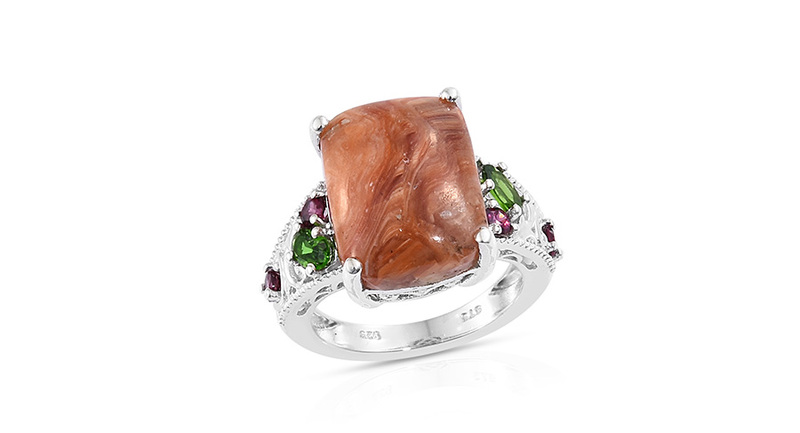 The colors present in this gem solidly show on the surface of the stone. A light, spotty matrix of white to black rock fragments may be present due to the stone’s unique composition. The famous play-of-color associated with other opals, such as Ethiopian Welo opal, are not present in caramel opal. However, the exciting color display is more than enough to entrance any enthusiast! Cabochons are by far the most popular option in shaping caramel opal, and opals in general. Stones are carefully worked into round and oval forms by cutters, who must make tough decisions as they shape stones. Their goal is to provide the best silky caramel color while providing a stone large enough to enjoy for years. Opals are considered a more delicate gemstone. Ranking six on the Mohs scale of hardness, caramel opal should be worn with care to avoid scratches or abrasions on the stone’s surface. Opals aren’t widely regarded for their durability, either. Generally, with a fair toughness at best, caramel opal is a little more resistant to chips or breaks from bumps and dings, thanks to its unique composition and structure. Caramel opal undergoes an impregnation process to improve its overall durability. Who Should Wear Caramel Opal? Caramel opal gemstones are perfect for those who want a fun but classy neutral stone accessory. They’re particularly suited for summer and fall wardrobes. 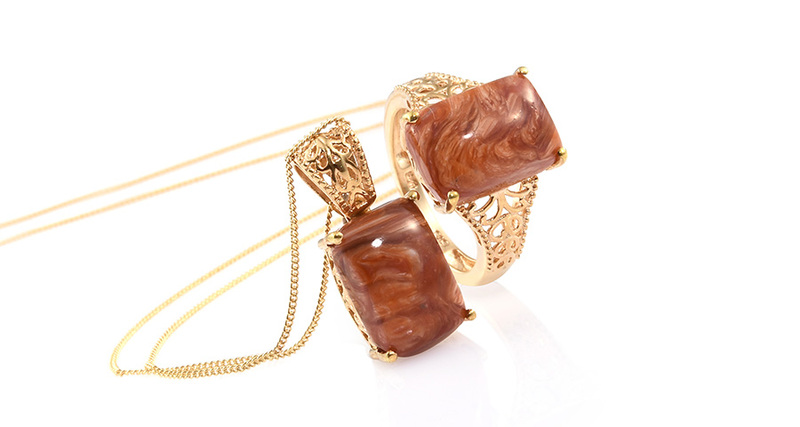 Collectors who already treasure golden-brown gems such as tiger’s eye, goldflake feldspar, peanut wood jasper and mookite are particularly going to love caramel opal jewelry. It’s an exciting way to introduce warm color that pair with other neutrals while complementing the medium to deep tones in your closet. Is Caramel Opal a Birthstone? • Opals are one of two October birthstones. 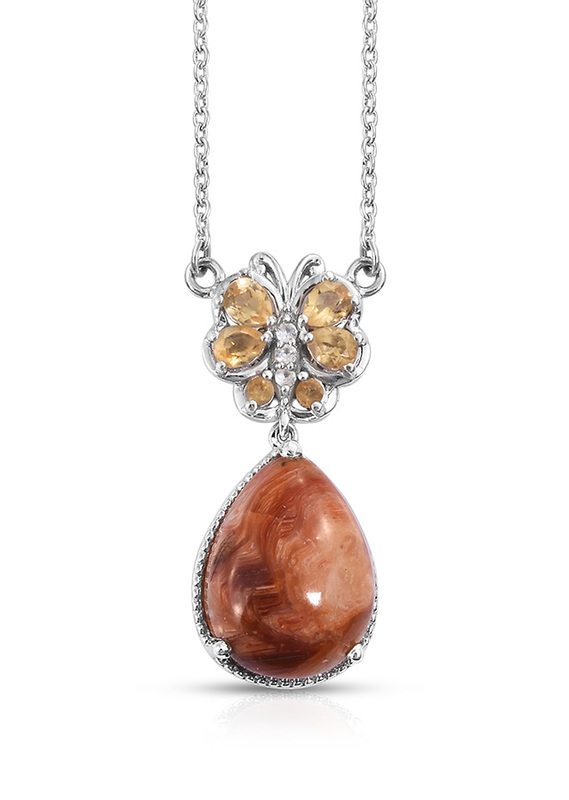 Caramel opal is a fitting gift for those born in this autumn month, as the colors of the gem perfectly capture the exciting color transition seen during the season. Opals are found throughout the world, with countries such as Australia, Ethiopia, and Mexico producing some of the most coveted gem-quality stones. Shop LC sources our supply of caramel opal from Mexico. How is Caramel Opal Mined? These opals are primarily extracted by traditional methods employed by artisanal miners. Lots of backbreaking work is required in extracting rough opal from the ground. Poor infrastructure and the threat of robbery complicates this process, as miners can be tempting targets for thieves. Combining these factors with the market demand for exotic and rare gemstones means that caramel opal exists in a tightly controlled market. Ranks six on the Mohs scale of hardness. Caramel opal presents a swirl of color, from cream to caramel, to a rusty red. Caramel opal undergoes impregnation to improve durability.